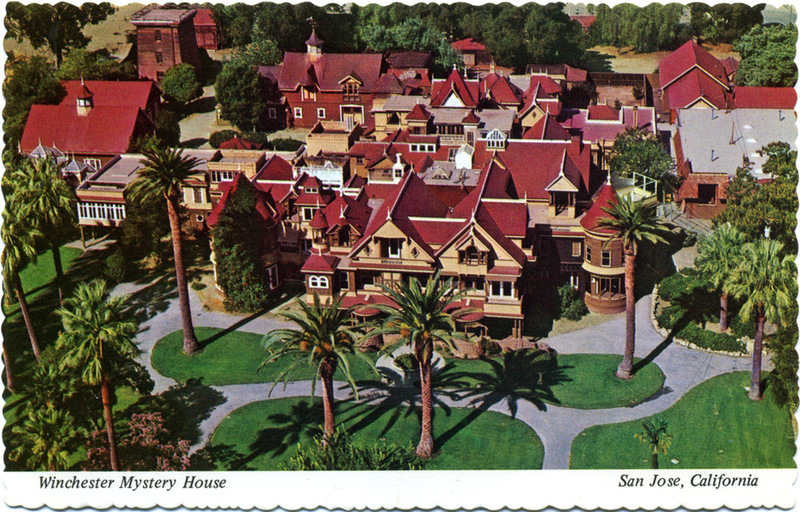 Definition: The Winchester Mystery House in San Jose, Calif., was under construction 24 hours a day for 38 years, from the time Mrs. Sarah Winchester bought the original six-bedroom farmhouse until her death in 1922. The Winchester Mystery House in San Jose, Calif., was under construction 24 hours a day for 38 years, from the time Mrs. Sarah Winchester bought the original six-bedroom farmhouse until her death in 1922. As the story goes, the grief-stricken Mrs. Winchester, suffering from the deaths of her husband and their infant daughter, consulted a medium, who told her that her family was cursed. Sarah's late husband, William Winchester, had been heir to the Winchester rifle fortune; the medium said that the ghosts of those killed by Winchester rifles would forever haunt Sarah unless she built them a house -- and continued building it for as long as she lived. By all accounts, Mrs. Winchester took the advice of her medium to heart. The management of the Winchester Mystery House estimates that 500 to 600 rooms were built by Sarah Winchester's foreman, although just 160 of those rooms remain, thanks to Sarah's habit of asking workers to tear down or abandon rooms the moment they were completed. Throughout the bizarre home, many of the 40 staircases lead to absolutely nowhere, doors open to 8-foot drops, and the number 13 repeats throughout, from the number of panes in a window to the candles in a chandelier, to the steps leading to the 13th bathroom. The home has remained open as a tourist attraction since 1923, and both visitors and longtime employees report paranormal activity within the house and its grounds. Workers alone in the house after hours hear breathing in empty rooms or feel someone's breath on their necks. 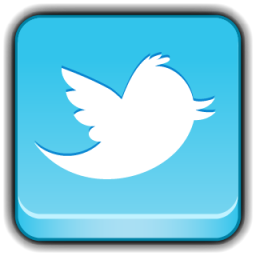 Some report hearing the sounds of construction, such as a hammer tapping or a screw turning and dropping to the floor. Visitors feel cold spots, hear piano music or catch glimpses of a woman in white at an upstairs window or seated in the dining room. According to the Winchester Mystery House Web site, several tour guides tasked with cleaning out a basement area reported seeing a mustached man in white coveralls pushing a wheelbarrow. No one recognized the description of the worker until one day, during a behind-the-scenes tour of the home, a visitor pointed to a photograph hanging in the gardener's tool shed of some carpenters who had worked on the home more than 80 years before. "I saw that man in the basement," she said, indicating a man with a mustache and white coveralls. "He had a wheelbarrow."